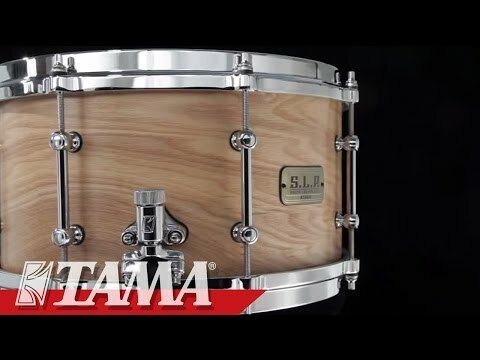 Tama LGM137-STA, 13"x7" Award-Winning Sound Lab Snare Drum, G-Maple Concept, Satin Tamo Ash (STA) Finish Built on the foundation of a t.. Built on the foundation of a thicker 11ply, 10mm Maple shell, and augmented by heavy die-cast hoops, for a bright, powerful, sound with surprising volume and sensitivity, Tama's award-winning G Maple concept makes this an incredible, high-performance drum. Featuring brass tube lugs, die-cast hoops, and a 20-strand Starclassic Hi-Carbon Steel snare wire, and suitable for a wide range of styles, including Funk, Pop-Punk, Gospel, and even Hip Hop, the Tama LGM137-STA would make a great addition to any kit.